I have been on a quilt top making kick. I have a stack of 14 of them and I’m about to add another to it this week. 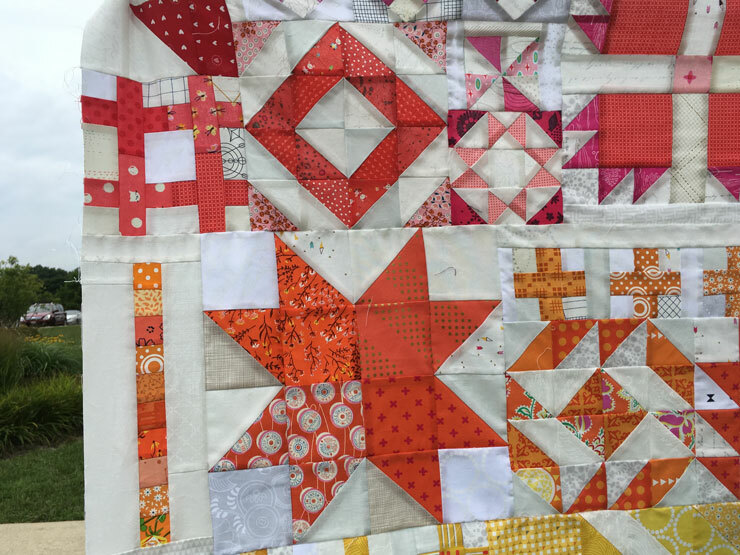 Apparently my declaration that I am a real quilter went to my head. 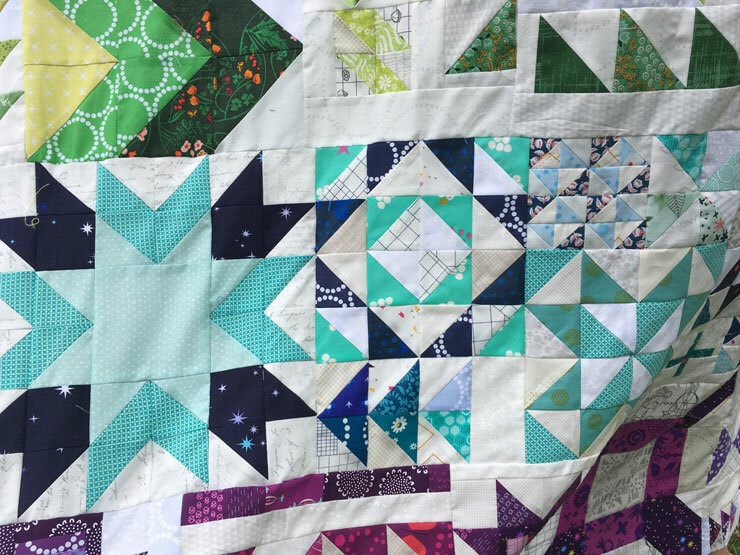 I’ve had this idea to make a sampler quilt for a really long time. 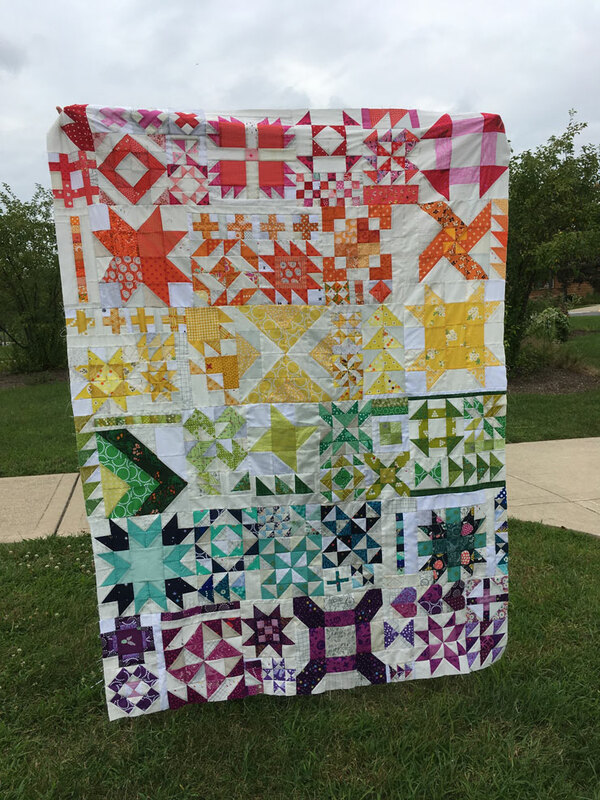 I love the idea of a quilt with varied block sizes and I knew that I wanted to do a rainbow one. 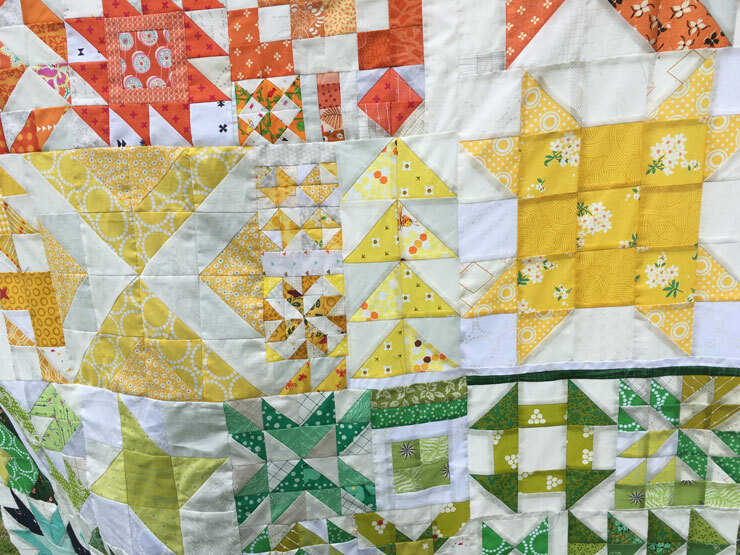 My original plan was that I would make each color span a 12″ strip of the quilt and make all the blocks sizes that would nicely fit together. However, I am very bad at math and ended up with really varied sizes because I was just making most of the blocks up as I went. So I ended up adding a lot of random strips of white or other tiny blocks to fill the space and make everything fit. Congratulations on this finish, it is amazing! I would tie the quilt because I would be anxious to finish it and snuggle under it. This is so beautiful! Great job carrying through!